With a week of warm weather and some rain, the garden continues to grow quickly. After this week, we have almost everything planted. We planted seeds of cucumbers and other vines, the scorzonera, and a few other miscellaneous things. I think all that we have yet to plant is the oca (hasn’t arrived yet) and some of the flowers. 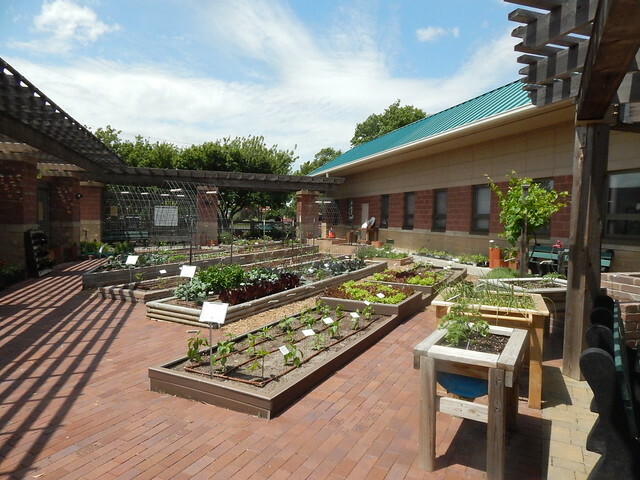 Of course, the vegetables that will be part of the fall garden are also not yet planted. Of course, there is always something that goes wrong. 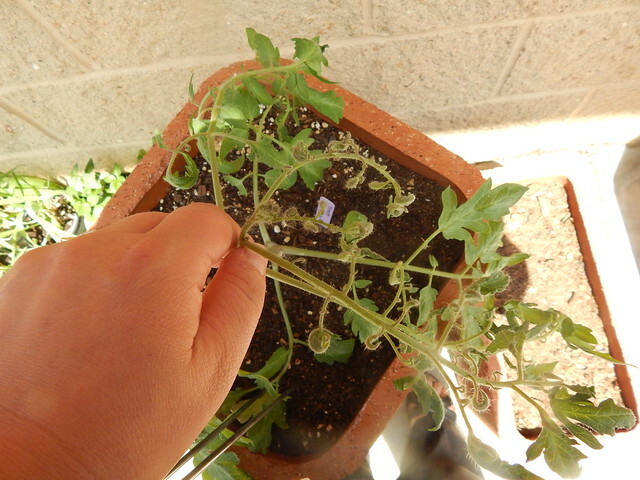 This poor tomato plant is showing signs of herbicide injury. It is the only one, which means it is probably something in the soil. We added some compost, but other areas that have compost added are looking okay. We may never know exactly what happened! We will let it grow for a little longer to see if it outgrows the problem. 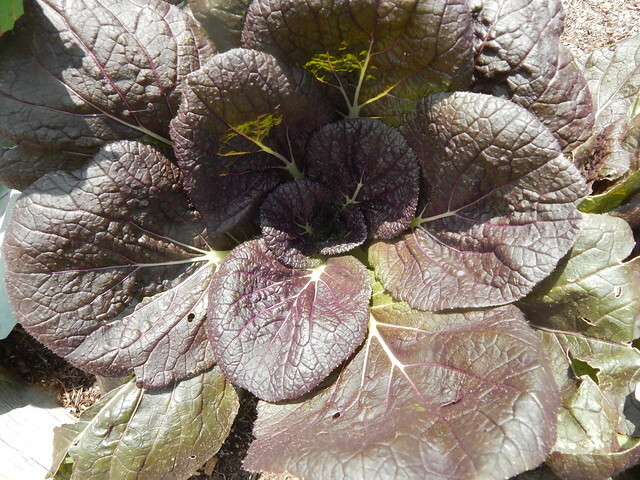 In contrast, this purple Chinese cabbage (from the purple garden), is looking spectacular. I love how the interior leaves get more crinkly as it grows. 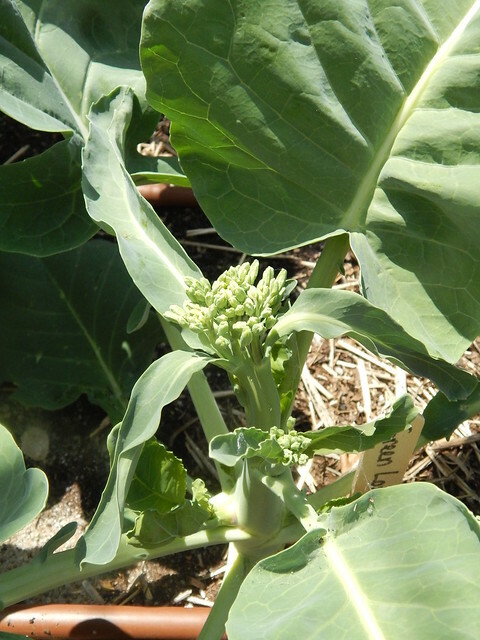 The Chinese broccoli (in the Oriental Garden) is just starting to produce the edible flower buds. This type of broccoli is not supposed to produce large, individual heads but rather lots of smaller shoots. You can already see some of the side shoots developing. I think that we will need to harvest the initial center shoots to encourage more side branching for best yields. 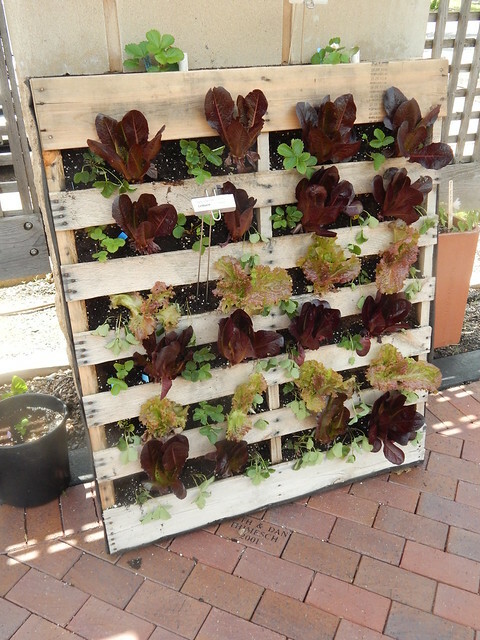 We harvested the lettuce in the pallet garden and then planted some more strawberries. We also moved it to it’s permanent summer spot, which is a little bit shadier. It probably better mimics a balcony or patio situation this way, and maybe the lettuce will stay nice longer. 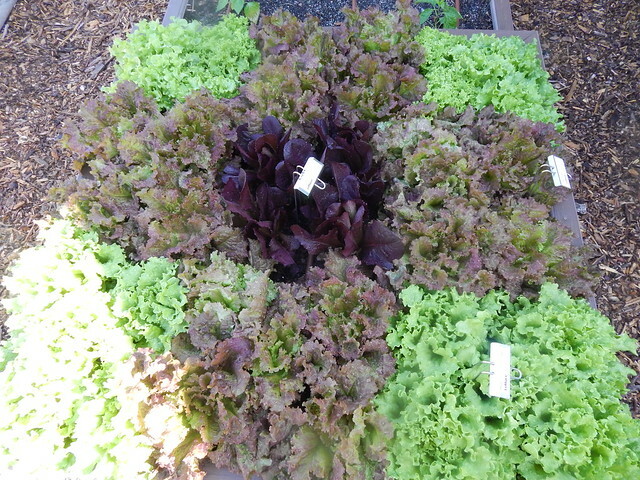 We did harvest the lettuce beds again this week, resulting in a multitude of bags of lettuce. It was looking really good and showing the pattern well. I couldn’t get a great picture because of the sun and shadow, but I think you get the idea. Posted on May 13, 2016, in PhotoEssays and tagged broccoli, lettuce, oriental garden, pallet, strawberries, Tomatoes. Bookmark the permalink. 1 Comment.